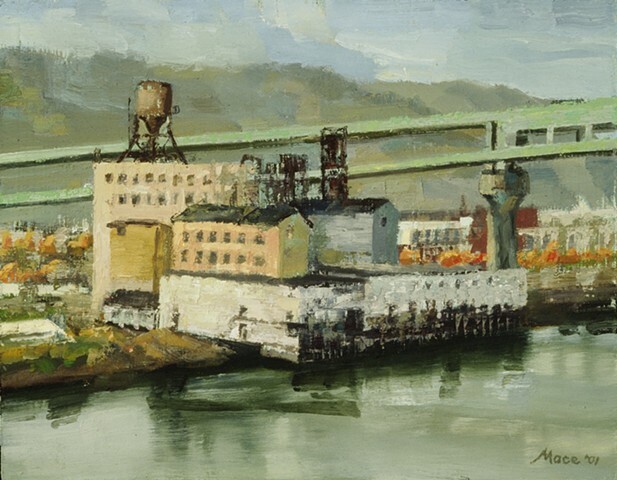 This is one of several studies I did of Centennial Mills on the west side of the Willamette River. It's a wonderful example of classic early 20th Century American industrial architecture. A film crew, which had spotted me painting the Bagdad Theater, did a feature on me painting the Mills in this view from the east end of the Broadway Bridge. Behind the mills is a portion of the Fremont Bridge.